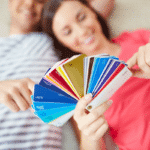 You can rely on Sure Swatch when selecting interior paint color combinations. If you have made the decision to paint the inside of your home, it is a good idea to weigh optional interior paint colors. Some interior paint combinations might not be the ones that come to mind when you think about colors that should be together. 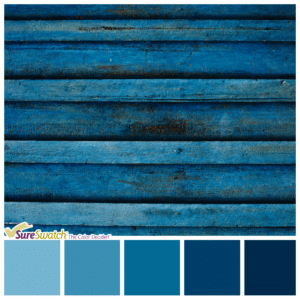 Choose a few color samples at a paint store and use Sure Swatch on a wall or other location before painting the entire area. Sure Swatch will help you know how the colors will look with the lighting in the room and on the surface that you are painting. Porous surfaces will absorb the paint better, and that could affect the brightness of the paint. Some paints will appear brighter based on the kind of lighting in the room whether it is fluorescent or a standard bulb. 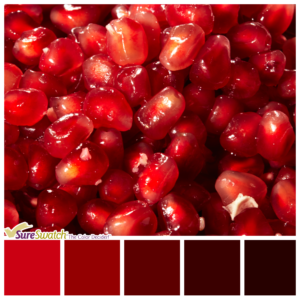 It’s a color that is great for vibrancy and passion in the home. There are several hues of red. But if you want the best look, go for a red on red combination. A high gloss works best because it has the shine that will look perfect in almost any lighting, and it won’t look washed out after it has been on the wall. A darker red can be used on the moldings. It’s a bold interior paint color combination that works well with new homes. A shadow line is created when you add the darker red on the trim against the brighter shade. If you want a neutral color that is not the traditional beige or brown, then consider gray. Any other color will match gray, and you can choose the shade you want whether it is a dark gray that looks best with bright colors or a lighter gray that will work with colors like blue or green. Shades of gray can often create a soothing feeling in the home they are not as bold as other colors. Gray can also work well in a bathroom or kitchen. A color like blue or green can be a wonderful choice if you want brightness in the room, and the paint color combination can make the room appear larger because there are not dark shades. 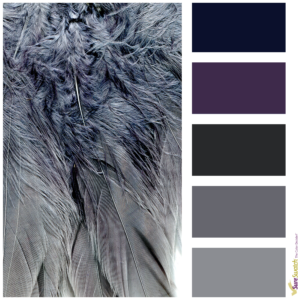 You can choose darker shades of these colors if you want something that is soothing in the room. For example, when combining blue and green, add green underneath the blue to give a resemblance of ocean waves. A splash of pink can add brilliance to the wall, but place it along the edges so that it does not overtake the original hues. When you focus on comfort in the home, you probably think about brown and another color. 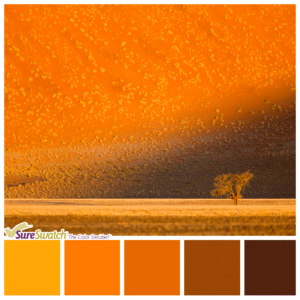 You can combine many paint colors with brown, including those that are dark or light. Try not to use more than one or two additional paint colors because they can overtake each other and make the room look too colorful. However, if you want numerous colors in the room, then create a design with interior paint color combinations instead of simply painting stripes on the wall. Pink, blue, yellow or green are colors that look best with brown. Avoid colors like gray or black because these tend to clash with brown shades.